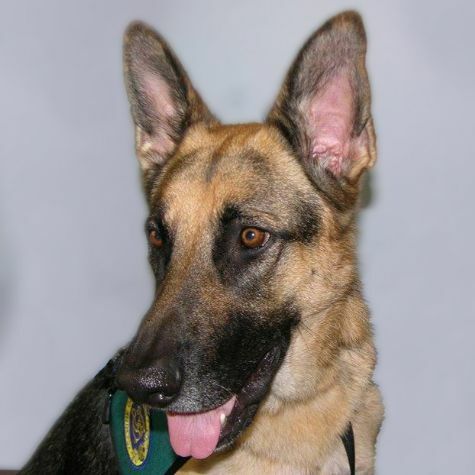 Anton came to us from a local German Shepherd rescue group. He lives in Pasadena and can often be spotted running with his owner(s) around the Rose Bowl Loop. He has several older siblings -- a Boston Terrier and two cats -- and is bossed around by all of them on a regular basis. Anton loves playing with his ball, going to the dog beach, and meeting new friends. He is very excited about his new "job" and is looking forward to spreading some love to lots of folks!